The CODARTfocus study visit took place in Amsterdam on 22-24 October 2017 to coincide with the double exhibition Ferdinand Bol and Govert Flinck: Rembrandt’s Master Pupils. The Rembrandt House Museum and the Amsterdam Museum have joined forces to host the first comprehensive retrospective exhibition of the artists Govert Flinck (1615-1660) and Ferdinand Bol (1616-1680). Both of these highly successful artists studied under Rembrandt, and both shared their master’s marked predilection for history paintings and portraits. Bringing their works of art together provides the opportunity to compare and contrast them closely, side by side and in a new light. Our focus meeting will primarily examine the curators’ approach to presenting the artists at two museum locations, and explore how juxtaposing their works enables visitors to compare their individual qualities and stylistic development. In preparation for this show, a substantial number of paintings by both Bol and Flinck have been restored. During the CODARTfocus we will pay attention to some of the new findings that these recent treatments have laid bare, besides which we will discuss the the quality of the paintings and works on paper in the exhibition. Elsewhere in Amsterdam, the Royal Palace and Museum Van Loon will highlight particular aspects of the two artists’ lives and work. Visits to these locations are therefore part of the program. Also included are an exclusive visit with Irina Sokolova to the exhibition Dutch Masters from the Hermitage: Treasures of the Tsars at the Hermitage Amsterdam together with a visit to the permanent presentation of Amsterdam group portraits Portrait Gallery of the Golden Age. On Sunday the CODARTfocus will open at the Royal Palace Amsterdam, where we will be welcomed by Alice Taatgen, Curator of Exhibitions and Education. Some of the most monumental paintings created by Flinck and Bol are still to be found here. After the completion of the structural work on Amsterdam City Hall’s main floor, the two artists executed mantel paintings in the reception rooms, depicting historical episodes from the period of the Roman Republic and Biblical scenes. In 1659, Flinck was granted the prestigious commission to paint a cycle of twelve scenes of the Batavian revolt against the Romans in the galleries around the central Citizens’ Hall. However, his untimely death in 1660 left the job unfinished, after which it was taken over by other artists. From the Royal Palace we will walk to Museum Van Loon, which is hosting Ferdinand Bol: the House, the Collection, the Artist. The exhibition is dedicated to Ferdinand Bol as the first resident of the imposing mansion on Keizersgracht 672 along with works by his contemporaries from the personal collection of Bol and his second wife Anna van Erckel. The 1669 inventory of this collection provides a good impression of its content, although some uncertainties remain regarding particular works. The numerous artists who featured in this collection included Rembrandt, Rubens, and Van Ruisdael. Tonko Grever, Director/Curator, and Willem te Slaa, Curator, will describe the attempted reconstruction of Bol’s collection and explain the grounds on which some 25 works were selected for this exhibition. On Monday we will concentrate on the two artists in the double exhibition Ferdinand Bol and Govert Flinck: Rembrandt’s Master Pupils organized by the Rembrandt House Museum and the Amsterdam Museum. Both Govert Flinck and Ferdinand Bol trained under Rembrandt in the 1630s and were among the most successful followers of his style. 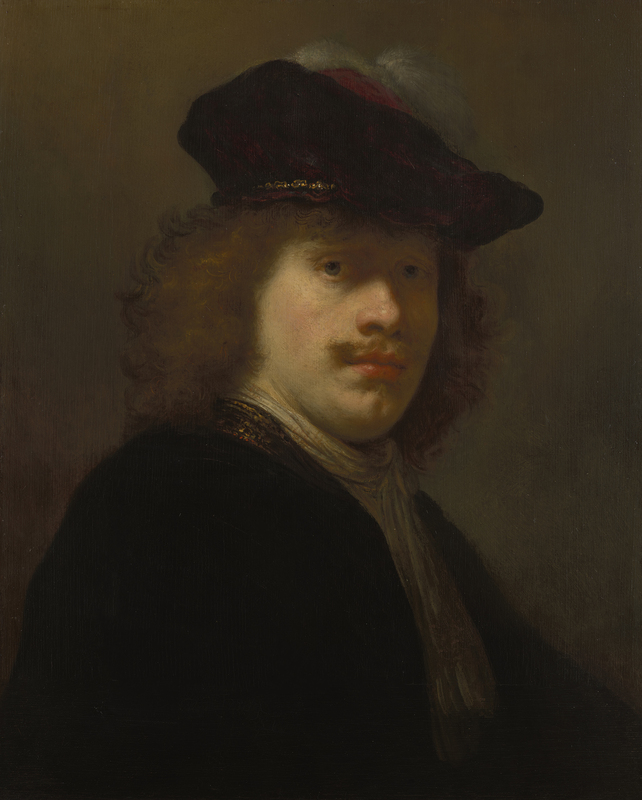 During their lifetimes they revealed an entrepreneurial spirit, worked for an extensive network of patrons, and developed individual, mature styles, moving away from Rembrandt’s example. Their fame quickly exceeded that of their former master. We will start with a private visit to the Rembrandt House Museum with curators Leonore van Sloten and David de Witt for a viewing of the first part of the exhibition. How did the training that Flinck and Bol underwent in Rembrandt’s workshop influence their artistic development? After an introduction by Leonore van Sloten, Head of Collections Epco Runia will present a short statement about the research on Rembrandt’s workshop and the organization of exhibitions about his students by the Rembrandt House Museum. After lunch at the Amsterdam Museum we will move on to the second part of the exhibition, which focuses on the period after Flinck and Bol became independent artists and developed into the most important and successful master painters of their age. The exhibition’s curators, Norbert Middelkoop and Tom van der Molen, will share their views with us. Following an introduction by Norbert Middelkoop, a short statement will be given by Remmelt Daalder, former curator at Het Scheepvaartmuseum in Amsterdam, on the collaboration of Ferdinand Bol and the Van de Veldes. On Tuesday we are organizing an optional, exclusive private visit (before opening hours) with Irina Sokolova, Marlies Kleiterp and Birgit Boelens to the exhibition Dutch Masters from the Hermitage: Treasures of the Tsars at the Hermitage Amsterdam. This long-anticipated exhibition shows highlights from the collection built up by the Russian Tsars from the museum in St Petersburg and will include works by Rembrandt, Ferdinand Bol, Govert Flinck, Gerard Dou, Frans Hals, Paulus Potter, Jacob van Ruisdael, Jan Steen, Bartholomeus van der Helst and Emanuel de Witte – to name just a few. After this, participants will be given the opportunity to visit the Portrait Gallery of the Golden Age. This exhibition – organized by the Amsterdam Museum and the Rijksmuseum – features many of the great Amsterdam group portraits, including Flinck’s most impressive contribution to the genre. This event is a collaboration between CODART, Royal Palace Amsterdam, Museum Van Loon, Rembrandt House Museum, Amsterdam Museum and Hermitage Amsterdam.